With the onset of the new calendar year just a few weeks ago, now is an opportune time to take a look back at what was another successful year for the Jerusalem Estates, and what’s in store for 2019. 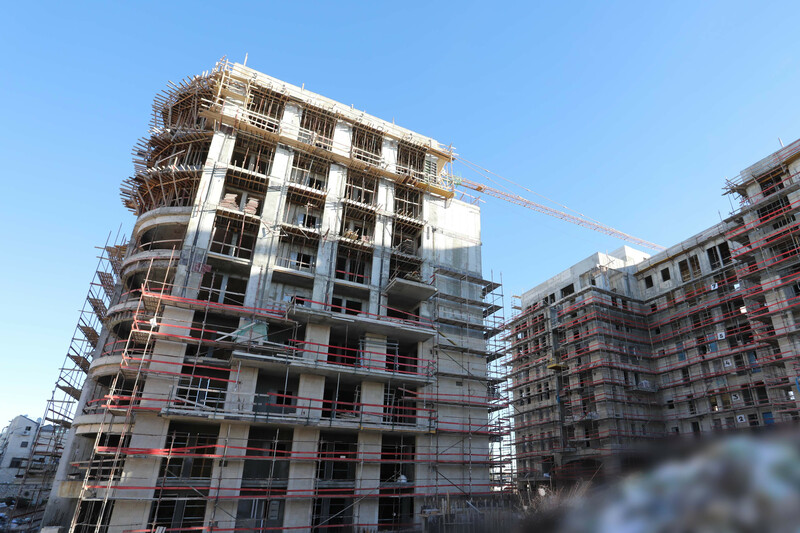 Since the project’s inception, demand for Jerusalem Estates apartments has been consistently high. 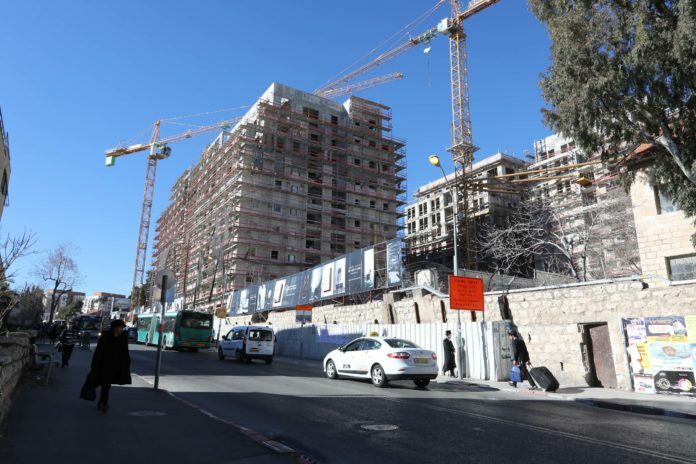 In 2018, demand only increased, with a reported half a billion shekels’ worth (approximately $130 million) of apartments sold – including 50 million shekels worth ($15 million) in the month of December alone. This impressive sum reflects growing consumer confidence and interest from communities around the world, as the project continues to progress ahead of schedule. Thanks to a philosophy of “simultaneous, not sequential” construction, Jerusalem Estates has been able to achieve remarkable milestones at an accelerated clip. Skeleton work has been completed on all nine floors in the initial five buildings: “הכרכוב”; ‘הכד; “הדקל'”; ‘הנבל’ and ‘הגביע’. 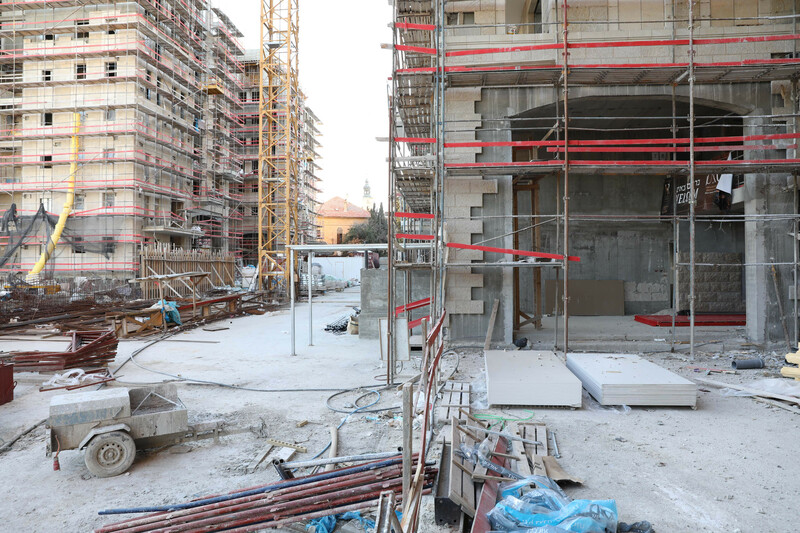 In addition, finishing works are currently being applied inside each apartment, while in most apartments (approximately 60% of the initial supply), plumbing, electricity, flooring, plaster, and paint have been completed. The much-lauded stone, installed by the world-renowned Jerusalem Gardens Company, now graces the majority of every building, with the completion of the unique building facades expected in the near future. Upon the removal of the scaffolding, both visitors and passersby alike will be able to truly appreciate the majesty and beauty of this timeless material. With demand at an all-time high and an accelerated pace of construction, now is the time to act and fulfill your lifelong dream. Prospective buyers are invited to come and see the breathtaking quality and beauty of this truly unprecedented project in person.